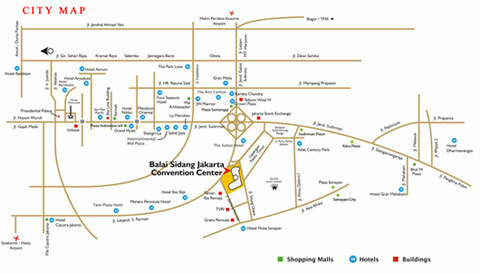 If you are in Jakarta and staying at Sultan Hotel – there is a passage from Sultan Hotel to Jakarta Convention Center. Or if you are staying in hotels nearby, please ask your hotel concierge for Blue Bird or Silver Bird Taxi. 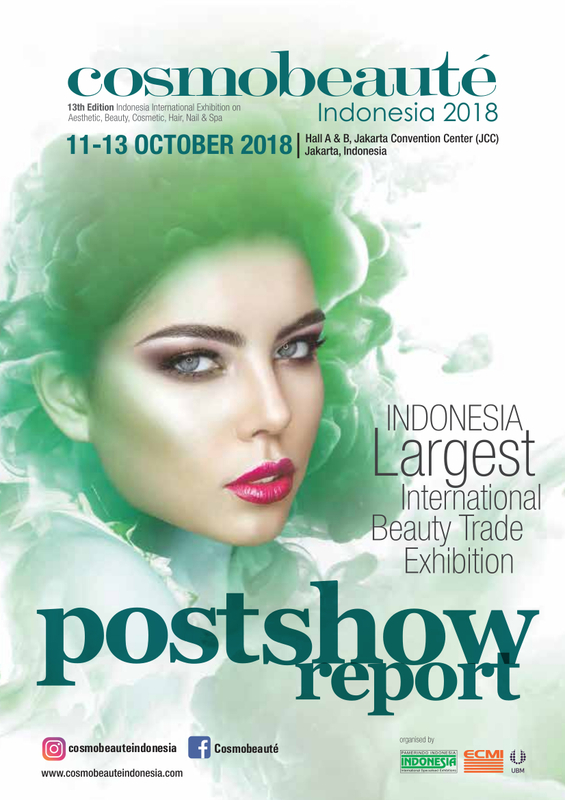 Designed to serve the world's business, professional and government leaders, the Balai Sidang Jakarta Convention Center is the largest and best equipped facility in Indonesia, a multi-purpose and flexible convention and exhibition center. It offers versatility, modern efficiency, and traditional Indonesian hospitality. 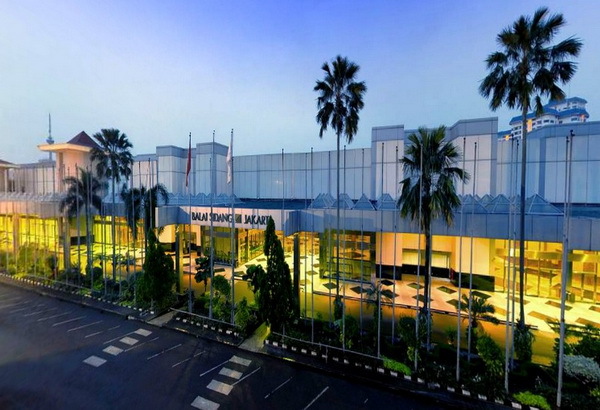 Its strategic location in the heart of Jakarta's business district, near the Jakarta Stock Exchange Building.